Dan and Brandon became best friends after a podcast interview led to the realization that they live in the same building. The two guys have a lot in common, including having played the same position for their college football team (on opposite sides of the US), and working hard to lose a lot of weight (they each lost almost exactly the same amount of weight!). 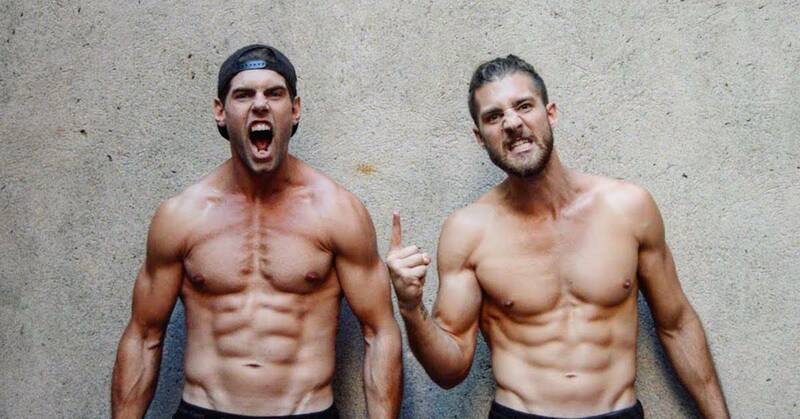 The guys joined forces when they decided to fully commit to their dream of creating an online health and fitness business. They both moved to Columbia and then got to work creating videos. Dan and Brandon rely heavily on YouTube videos for traffic. Unfortunately, during their first year, they didn’t exactly get a lot of video views. Like many a budding content creator has experienced, after working hard day after day to produce videos and upload them to YouTube, the return in terms of viewership was small. Yet the guys persisted, and eventually, thanks to some tweaks to how they create and present their videos on YouTube, started to bring in some serious traffic. If you’re using YouTube, or you plan to as part of your marketing plan, that is a must read article. It was clear to me during this interview that Dan and Brandon did not want to focus on techniques or technology. They don’t believe these things should be at the top of your priority list. Instead, they spoke a lot more about staying motivated and finding your focus. At the end of this interview, I asked the guys to explain what it takes to keep doing something when it doesn’t seem to be working. “Never give up” is a phrase thrown around a lot by entrepreneurs, but I wanted to know how you can train people to live this mantra, especially when times are tough. Listen in and you can hear their answer, including how they personally practice the act of never giving up. We also talk about how they source the physical product they sell (jump ropes), what product they recommend people start with first, and what equipment they use to create videos. The fitness niche amazes me. It never stops growing or evolving. I think the CrossFit games and that Ninja Warrior TV show is changing the fitness landscape – people now have different goals and expectations to fitness and training. And they are happy to pay big dollars for it. Then you can have a micro-niche like jump rope workouts and build a successful business around it. Incredible! I have been listening to your podcast a bunch again lately and just wanted to say great work! I learn so much actionable stuff from both your solo episodes and your guests. I find myself taking notes on my phone while at the gym haha. Keep it up! Thanks Nathan, great to see your name pop up in a comment here!